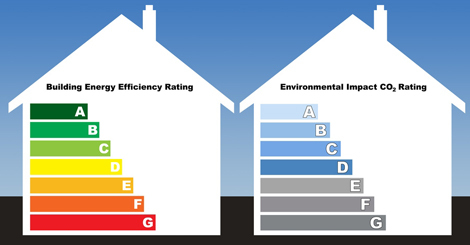 The Energy Performance Certificate (EPC) is a legal document that provides details on the energy efficiency of a property. It looks at heating costs and carbon emissions, grading your home from A to G. It also gives both buyers and sellers information on the average cost of energy bills, with suggestions on how to save money with certain energy efficient measures. How is an EPC presented? The EPC displays two graphs. With the first including an energy rating, which measures the homes overall efficiency. If a property receives a high rating then it is more energy-efficient and this means that the energy bills are likely to cost less. An environmental impact rating is displayed on the second graph. This measures the impact on the environment and the emissions from carbon dioxide. This rating will provide a list of cost-effective measures and the potential rating of the building if these are installed. The responsibility of ordering the EPC is with the seller and you will have seven days to receive it after putting your home on the market. As long as it has been ordered, the EPC does not need to be available when you first start marketing your property. If you need any more help with the necessary documents behind your home move then contact us today and talk to a trained member of staff. Important changes to EPC regulations will come into action from 6 April 2012. These changes mean that EPCs will now be required for all residential and non-residential property offered for sale or rent. Moving forward, it will also be a requirement to attach the front page of the EPC to the property particulars in its entirety, rather than just the graph as was formerly the case. Furthermore, using ‘reasonable effort’ an EPC will have to be secured within seven days rather than the previous 28 days. If you require any further information on EPCs, please contact us and we will be happy to help.